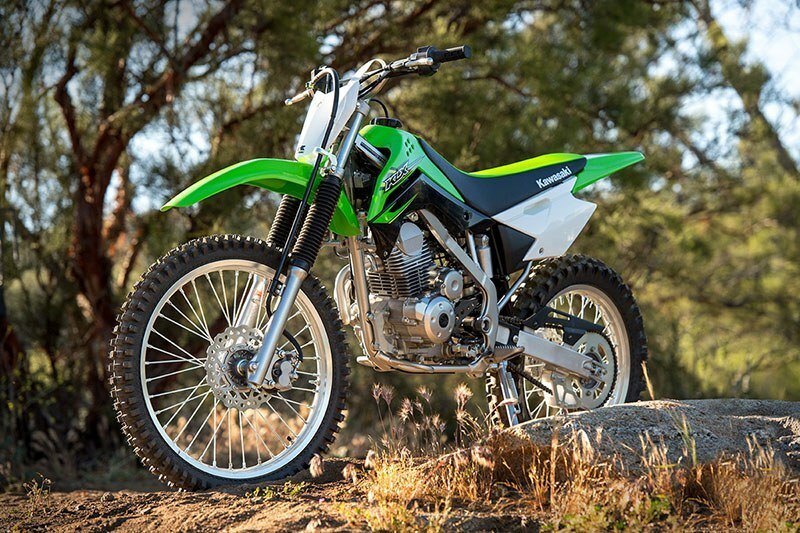 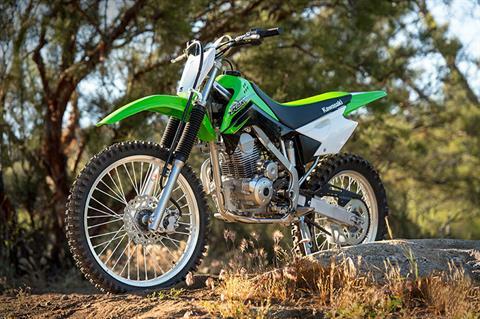 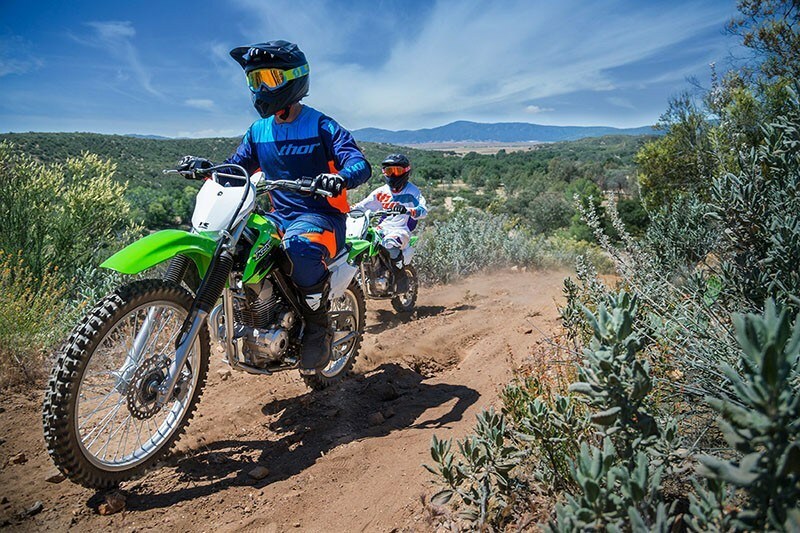 The all-new KLX®140G is over 30 pounds lighter than all other competitors*, offering confidence-inspiring capability in an easy-to-ride package. 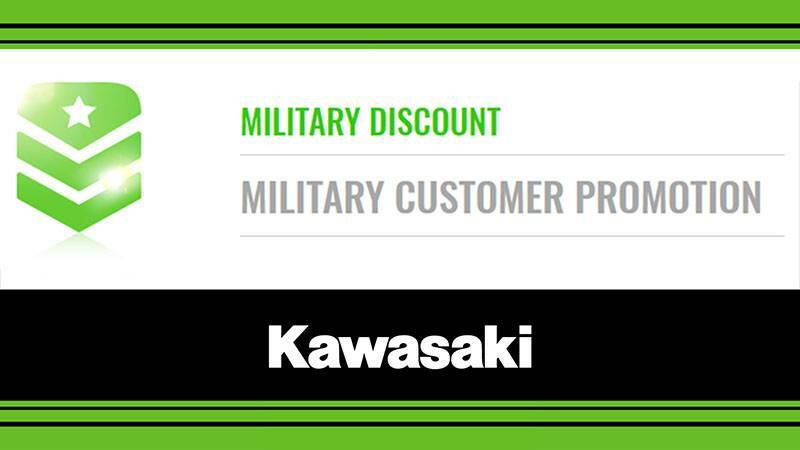 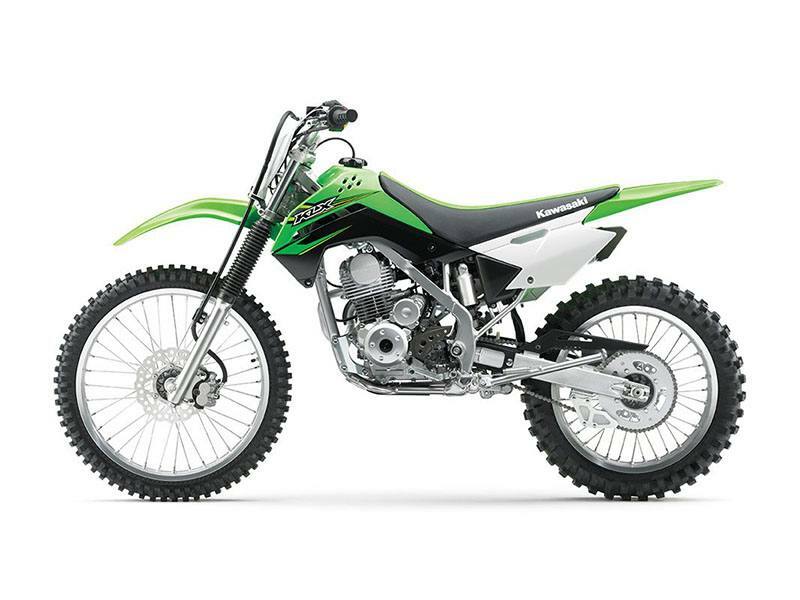 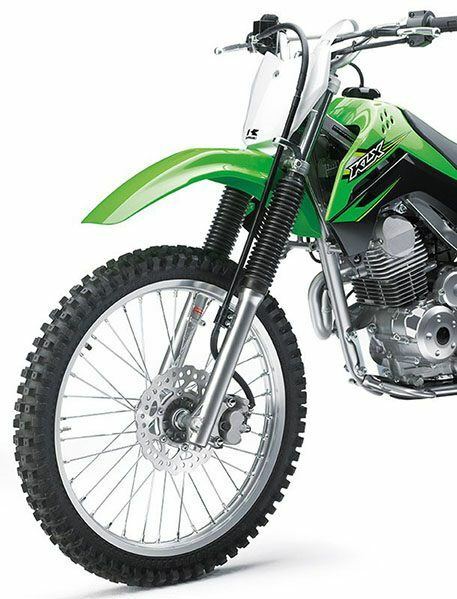 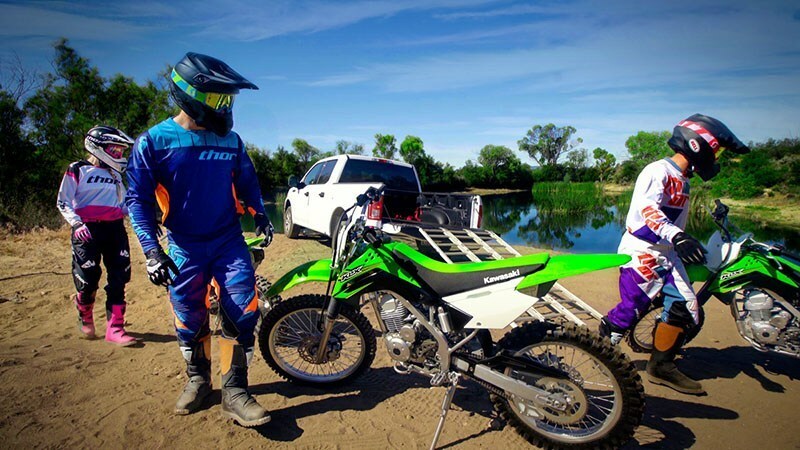 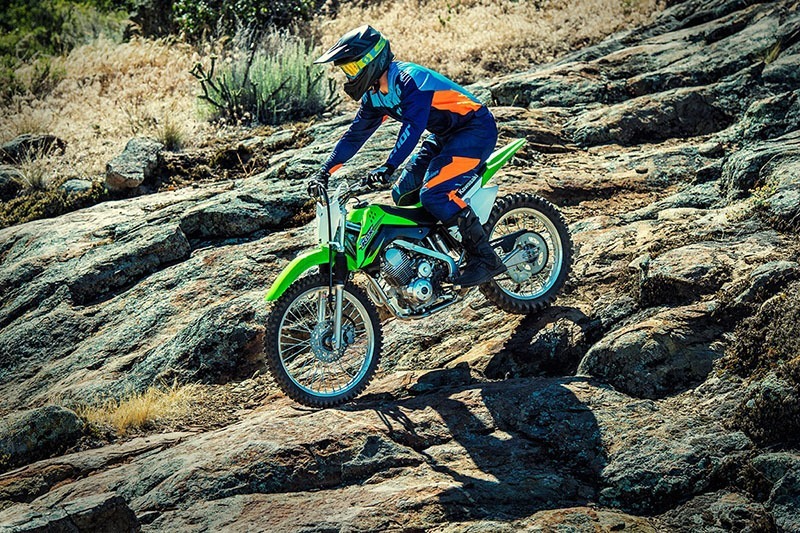 This off-road motorcycle features full-size wheels, comfortable ergonomics and light, nimble handling that is appreciated by riders of all skill levels. 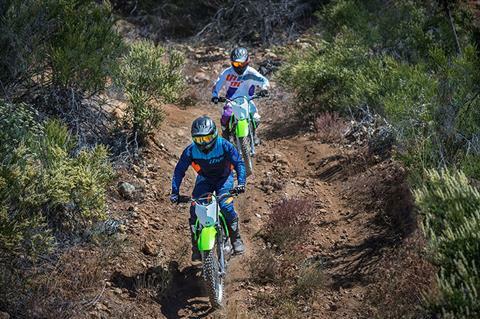 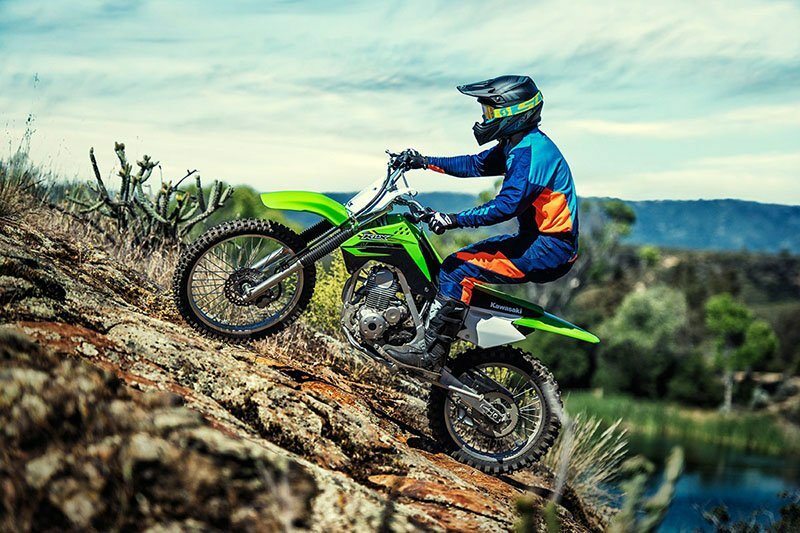 This combination allows riders to focus on fun, while the dependability and low-maintenance of the KLX140G make it the ultimate companion on the trail. GOING THE DISTANCE: The lightweight chassis with full-size wheels can take on full-size rides. 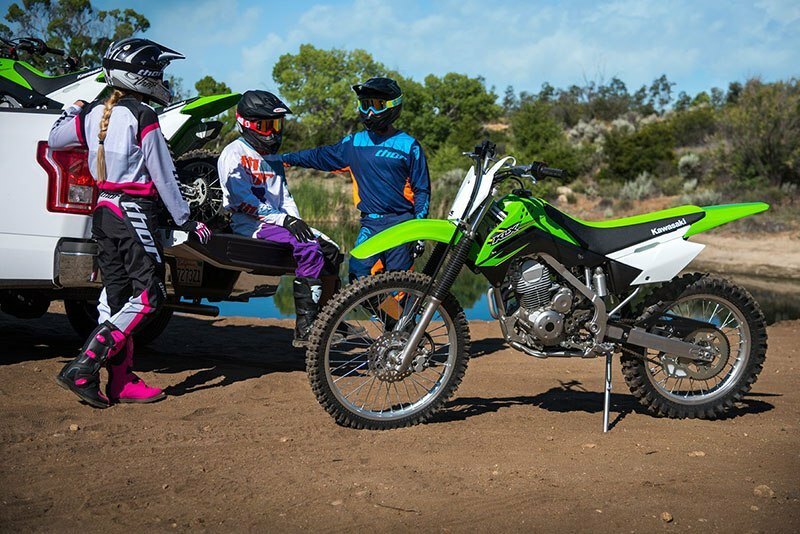 Go the distance on the trail with the smooth, capable engine, comfortable ride and lightweight performance of the KLX 140G. 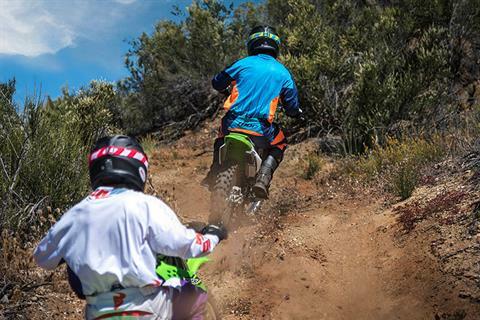 Full-sized wheels increase rider comfort enabling better navigation over rocky terrain. Ample ground clearance for navigating technical terrains. 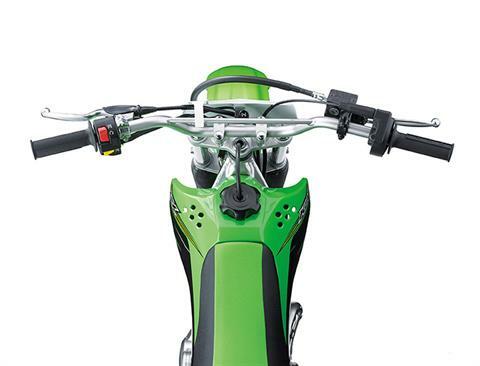 Front and rear disc brakes for confidence-inspiring control. 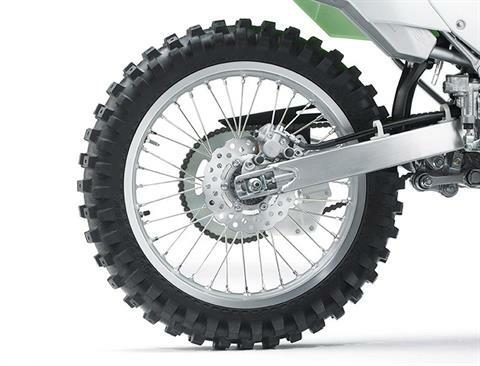 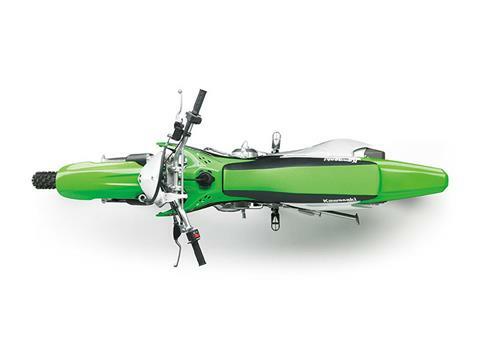 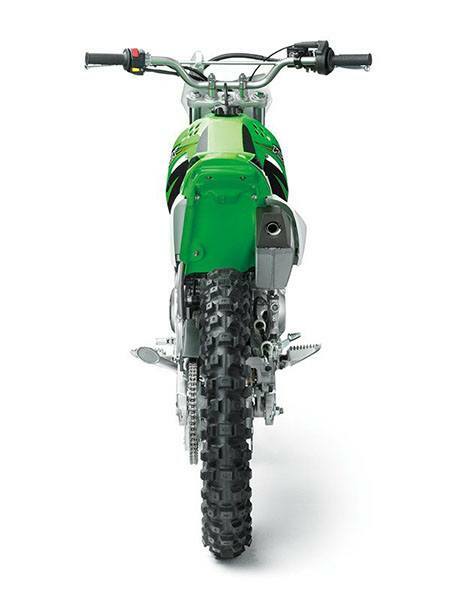 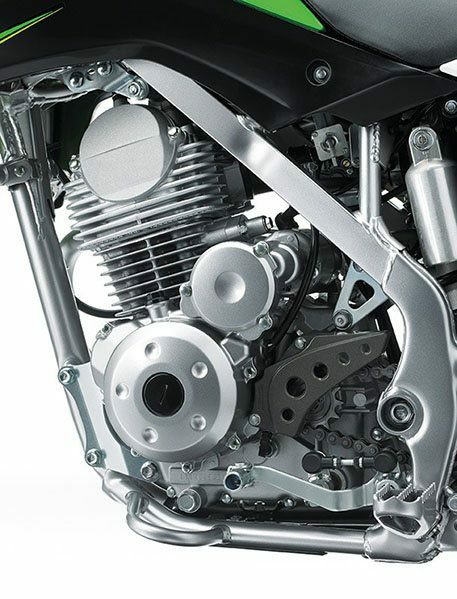 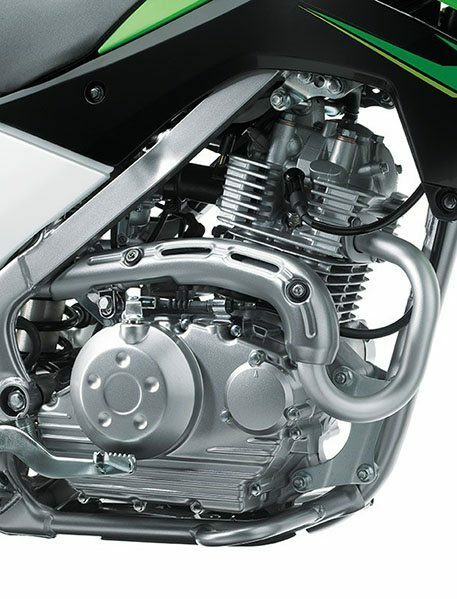 Adjustable suspension to accommodate varying rider size and skill. 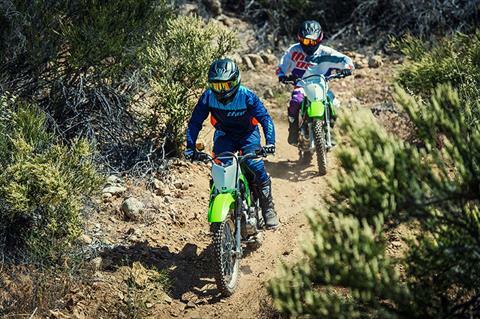 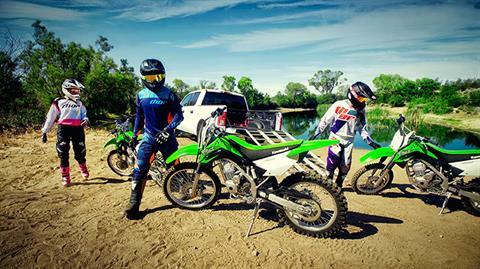 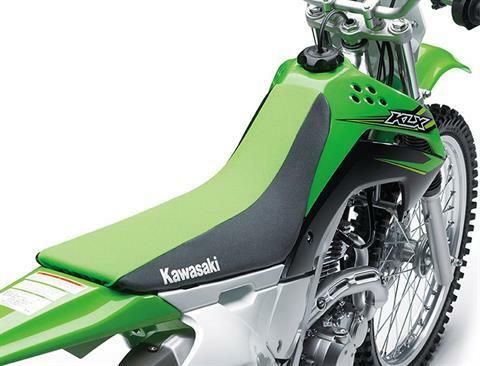 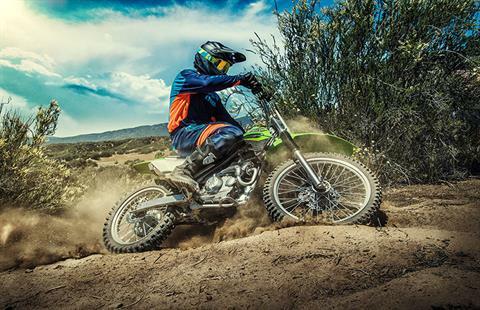 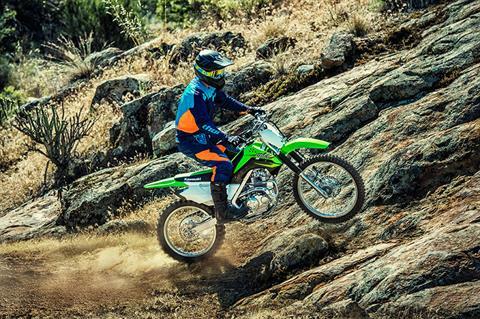 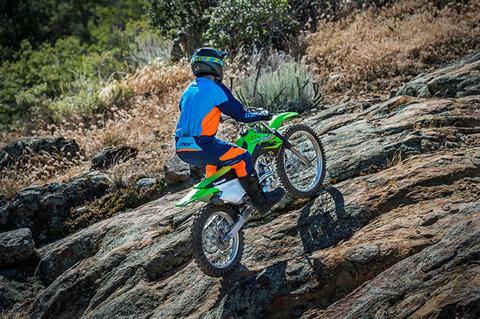 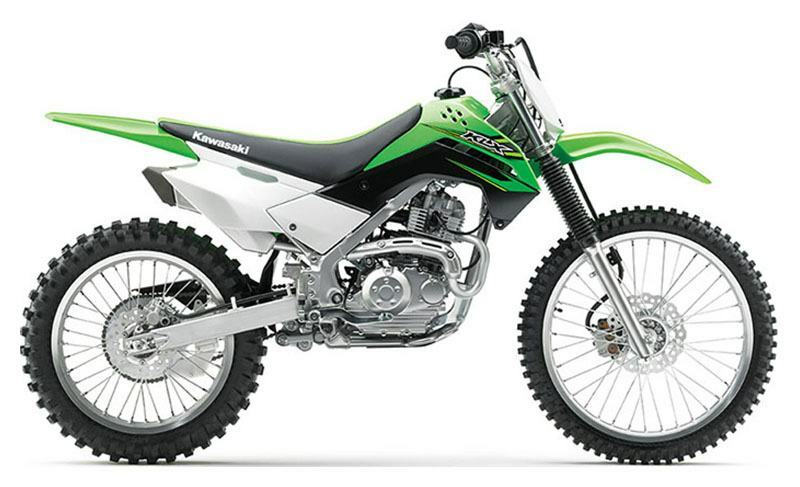 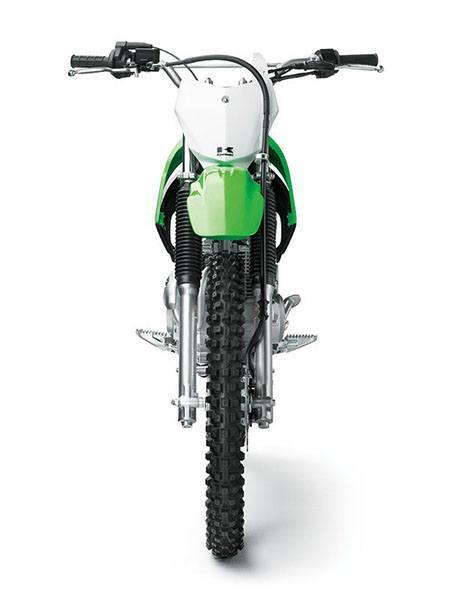 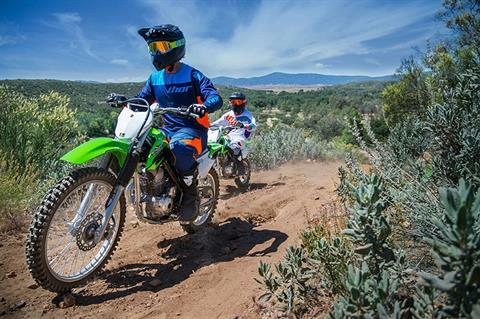 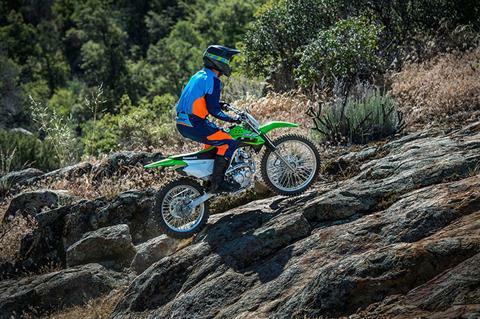 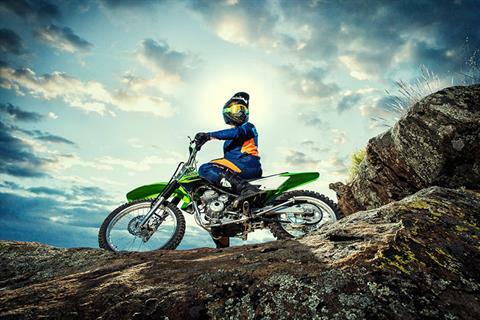 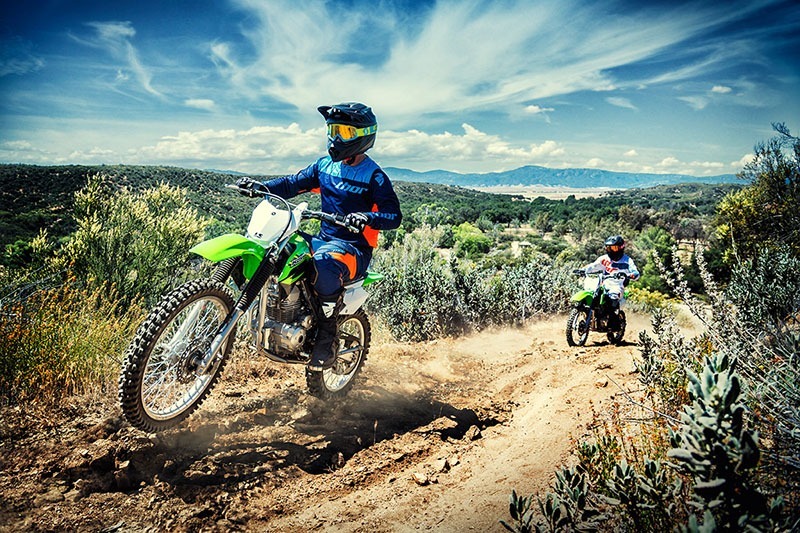 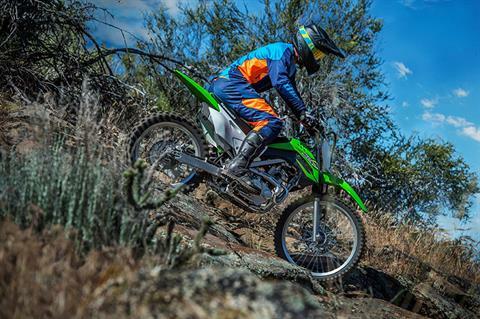 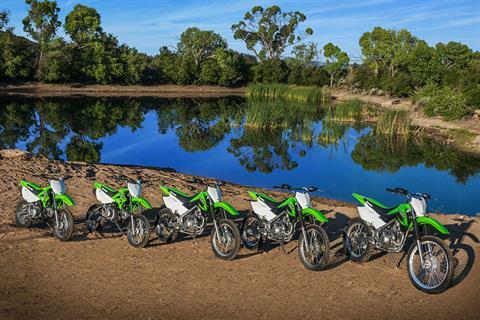 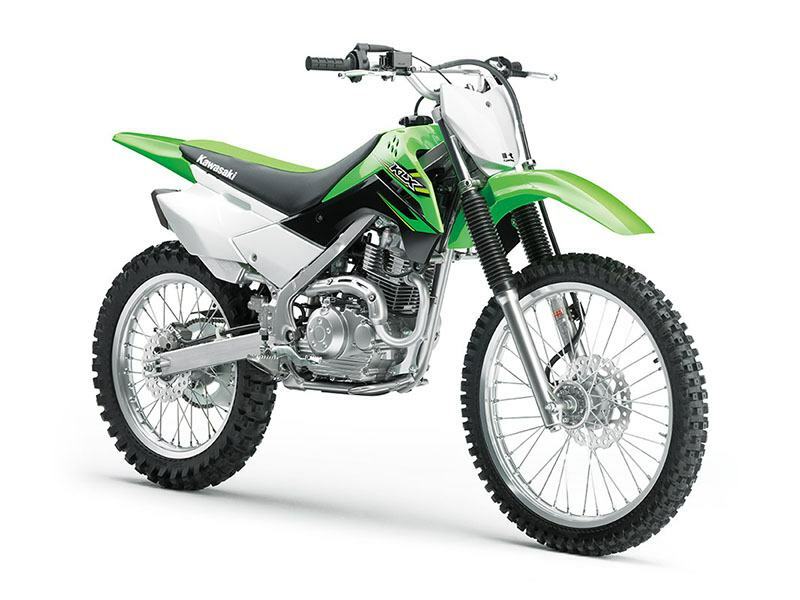 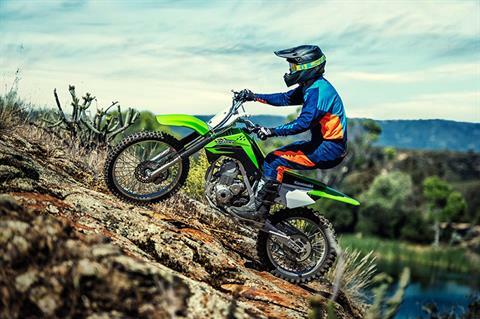 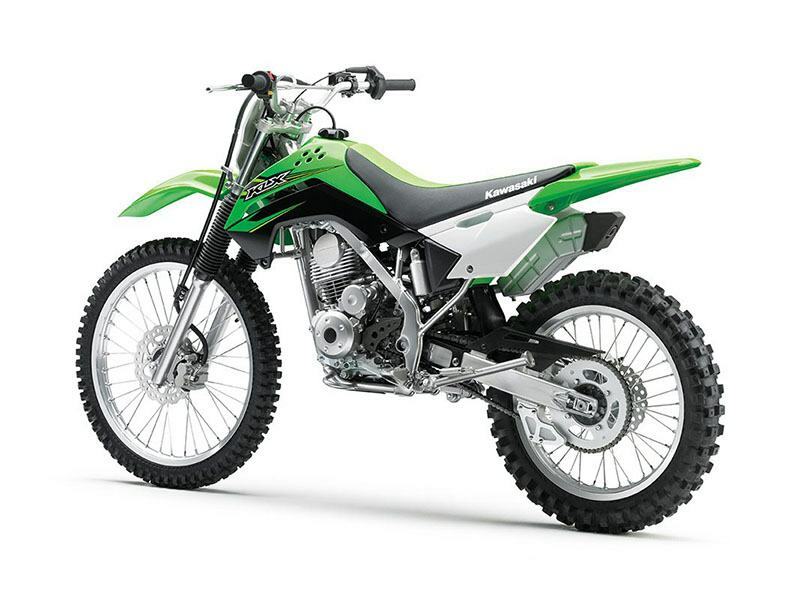 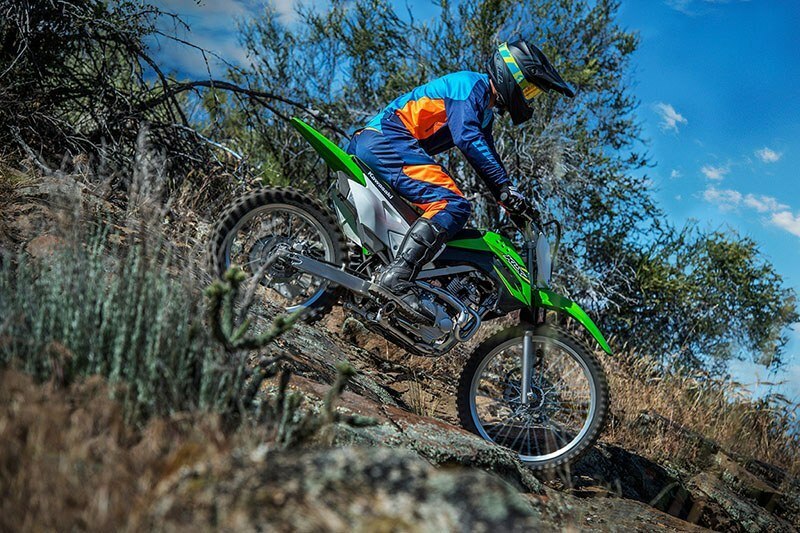 A FIT FOR ALL SIZS: Learning riders come in all sizes, and the lightweight KLX®140G offers full-size features for a roomy and comfortable fit to suit a wide variety of off-roaders, while still enabling a reassuring reach to the ground. Taller seat height ideal for intermediate or adult riders. Open ergonomics offer a roomy riding position. 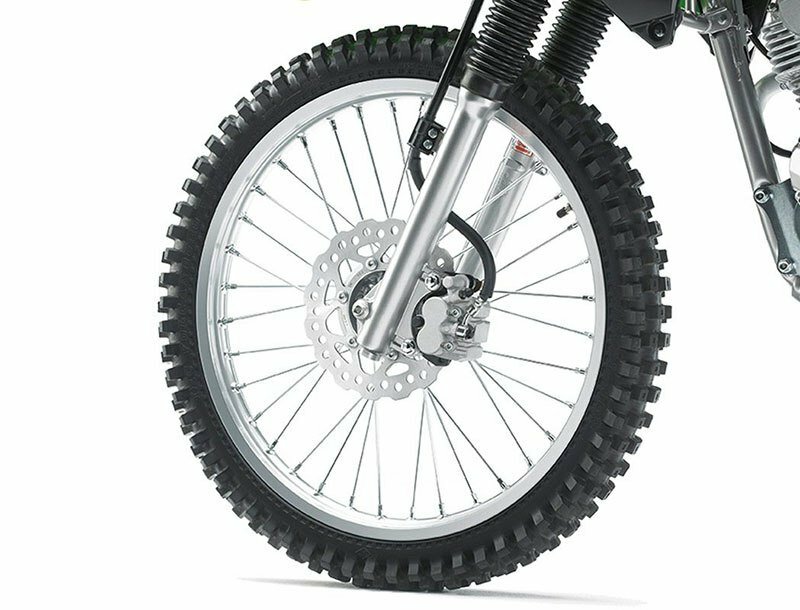 Full-size wheels featuring lightweight aluminum rims offer comfort and performance on the trail. Wheel Travel - 7.5 in.